We left San Antonio this morning and spent the day driving north. We're still in Texas - but getting closer to the border. We should be home to Colorado Springs tomorrow. 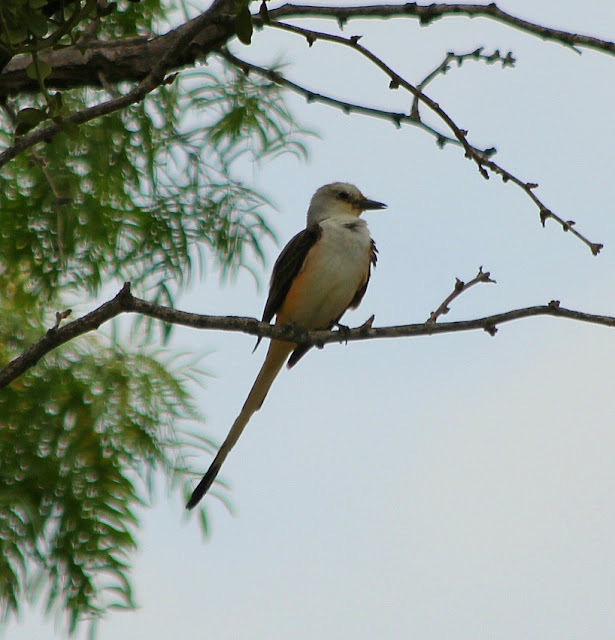 Before last week, I had never seen a Scissor-tailed Flycatcher and was thrilled to see one at the Sanibel Lighthouse. Today they are almost trash birds - we must have seen at least a hundred along the road!